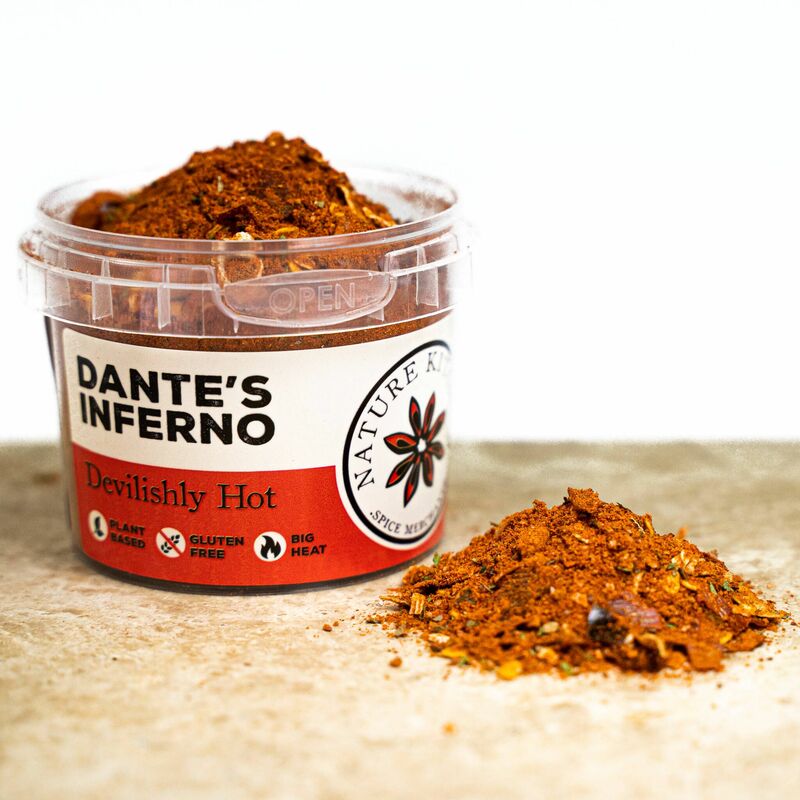 This fiery hot blend makes the most of one of the hottest chillies' in the world. It is great with any dish. Take 500g of gram flour and mix with water and Greek yoghurt to make a thick creamy batter. The batter needs to be thick. Add in a whole pot of Dante's Inferno. Yes a whole Pot! Then heat up some vegetable oil in a wok. Heat enough oil to deep fry Goujons. Using a teaspoon scoop a spoon full of batter into the hot oil. The batter should sizzle. Fill the wok with more scoops of batter. When the goujons are brown and raise to the surface remove them and place on some paper. Create as many as you like and serve with fresh made yoghurt and mint dip and mango chutney. This great finger food is very moreish. Despite its intense heat you will find it impossible to just eat one or two. Best blend in entire shop, its complex flavours only rivalled by its fiery hot afterburn makes this my number one blend. I can't get enough!! This blend is amazing, every bite is a mouthwatering trainride of soft herby hits followed by a punch of fire that leaves your throat hot, satisfied and wanting more, this is a must have for any chilli head! I love this blend, its a perfect mix between flavour and heat! Just a fantastic spin on any dish!